Completed in 2015, the new $120.4 million Busselton Health Campus, will cater for the fastest growing south west community in WA. The new Health Campus is built on the existing hospital site in Mill Road and provides top quality medical care for south west residents in the City of Busselton. 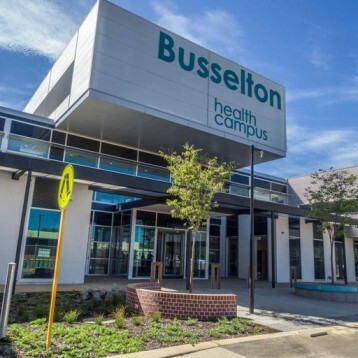 The new Health Campus provides a modern, one stop health care hub for the community of Busselton. The new Health Campus includes 84 beds, with 2 new operating theatres, expanded pathology services, an emergency department, dental services and an expanded outpatient consulting facility.